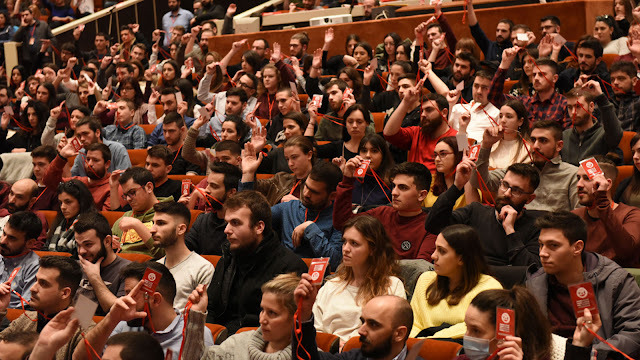 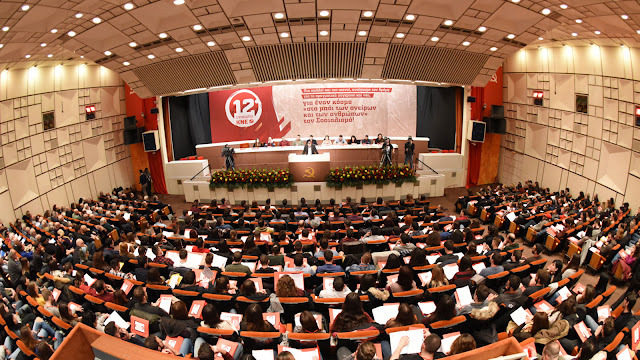 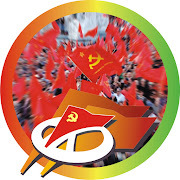 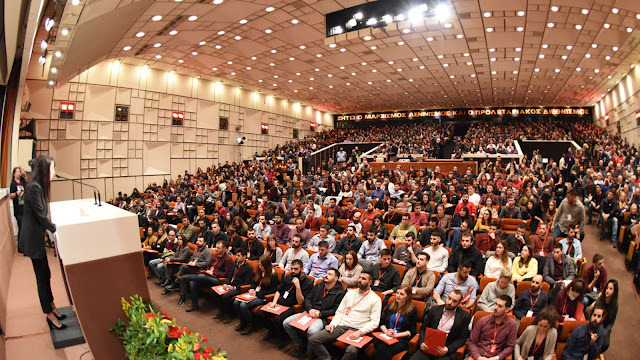 With the participation of 30 delegations from communist youth and anti-imperialist organizations around the world, the 12th Congress of the Communist Youth of Greece (KNE) kicked off on Friday afternoon in Athens. In the fully-packed congress hall of the KKE headquarters, hundreds of people of every age, mostly young ones, had the opportunity to watch an introductory video refering to the harsh reality of exploitation in capitalist society. 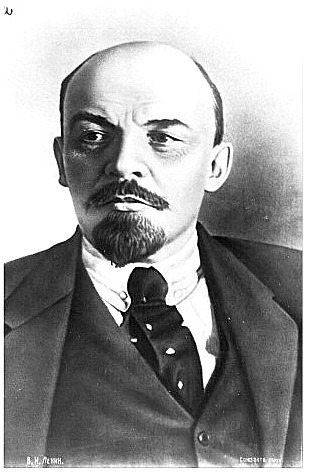 "The days we are waiting for shall come. 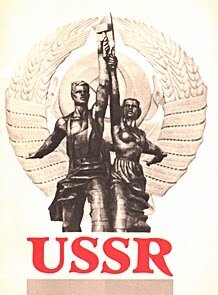 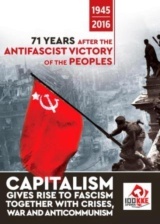 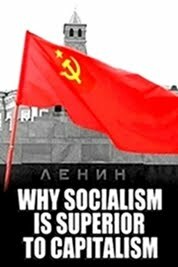 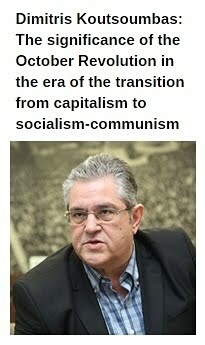 Today's generation will live new eras of rise in the workers and communist movement, new socialist revolutions! 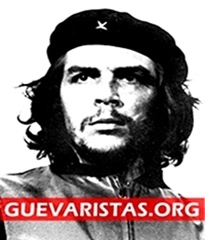 The generation of the overthrow is coming" was the message in the end. 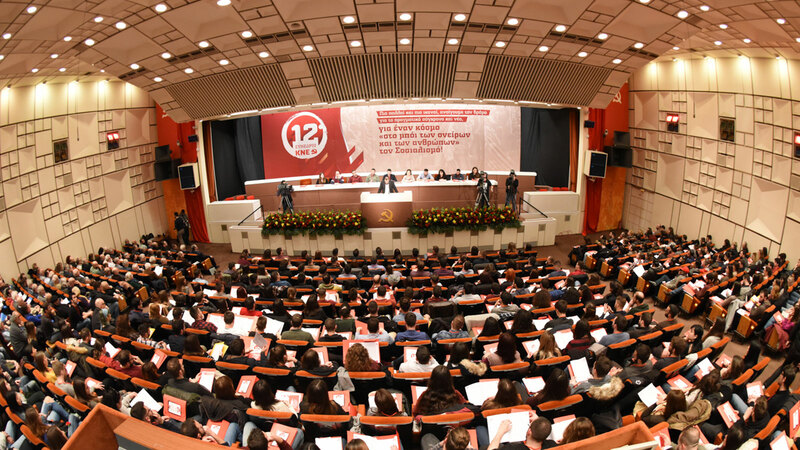 A large delegation of the Communist Party of Greece, headed by the General Secretary of the CC Dimitris Koutsoumbas, attended the beginning of the Congress' works. 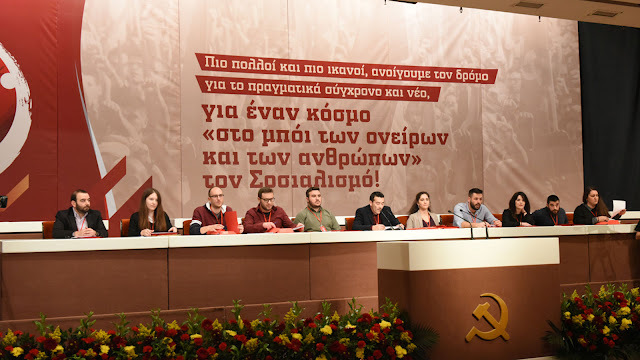 The event was also attended by veterans of the EAM-ELAS resistance and the heroic Democratic Army of Greece (DSE) who received a powerful applause, diplomatic representatives of Cuba, Vietnam, Venezuela and Palestine, communist mayors from Patras and Athens, people of arts, sports, journalism and academics. The introductory speech, on behalf of KNE, was delivered by the Secretary of the Central Council Nikos Abatielos. 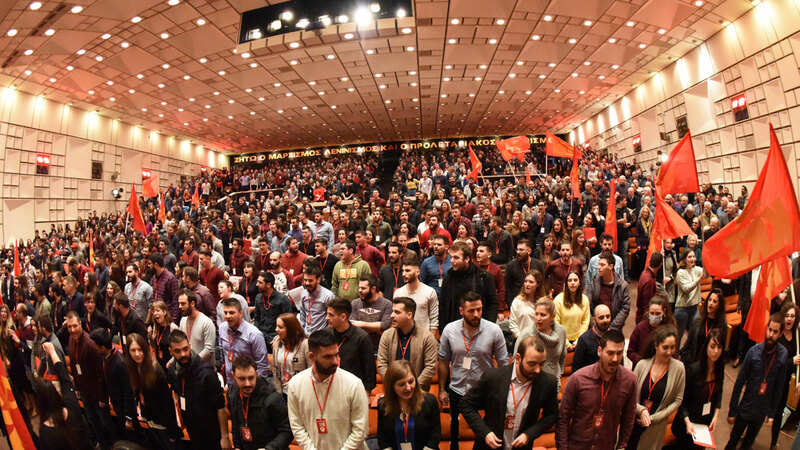 From the World Federation of Democratic Youths (WFDY), a greeting message to the attendees was delivered by its president Iacovos Tofari. 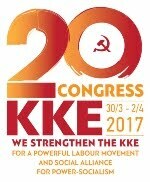 Today, Satuday 16th of February, KNE organizes an international political and cultural event in solidarity with the people of Venezuela, against the imperialist intervention. 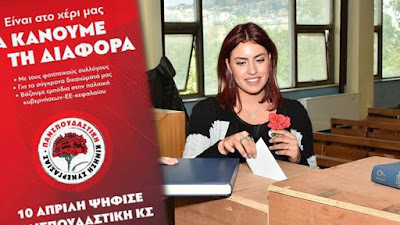 The event is going to take place at the indoor "Sporting" arena (Metro "Agios Eleftherios") at 8 pm local hour.